J. R. Russ is a twenty five-plus year broadcaster with experience from Big Band and Full service formats to CHR, A/C, Classic Rock, News, Full Service, Urban and Country. As a Program Director and Air Personality, his resume reads like a Who's Who of radio. 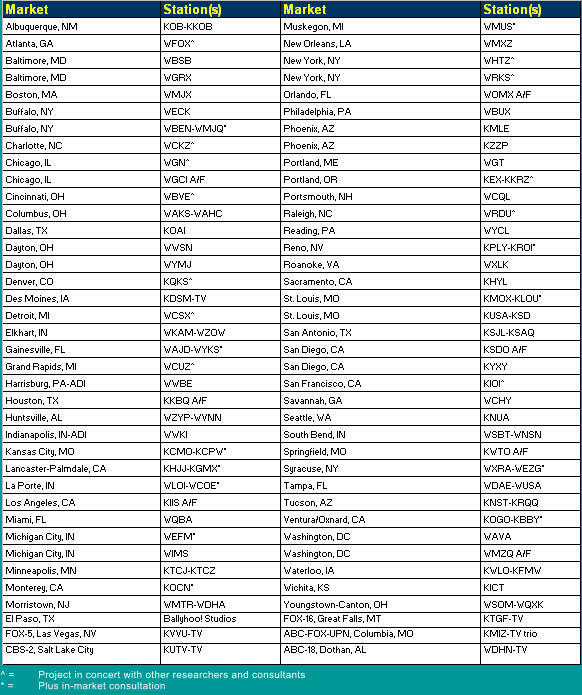 As a Program/Ratings and Research Consultant since 1988, J. R. and staff have performed consultation either on-site or at Arbitron in Maryland for some of the biggest companies in the business such as CBS, Gannett and Nationwide. Performing numerous Consultations in both small and large markets, J.R. has helped operators increase audience share and revenues. This includes in-market analysis for complete startups, turnarounds and acquisitions. Deal with J.R. Russ and deal with experience, knowledge and a true love of broadcasting!